Matt Strawn of Ankeny, the man who helped guide Republicans to a takeover of the Iowa House and governor’s office is hoping to keep his position. 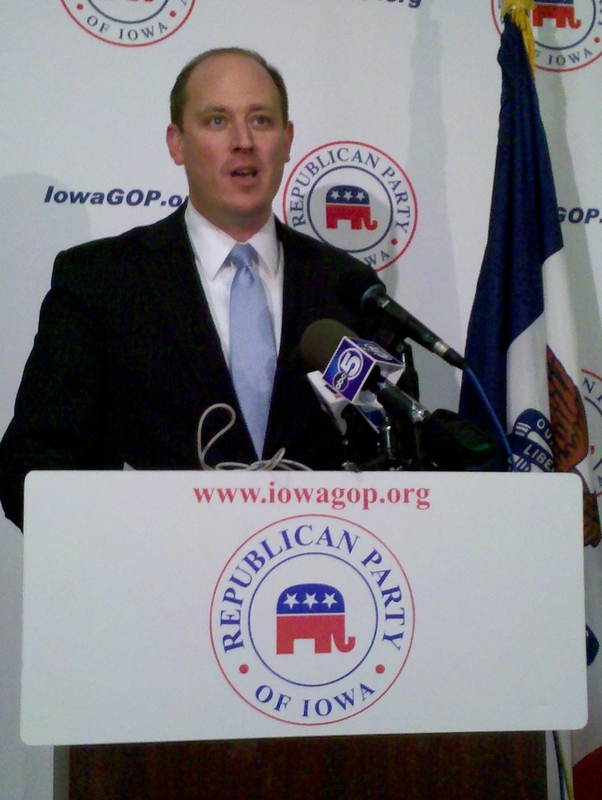 “Going into the 2012 election cycle, Iowa Republicans have a tremendous opportunity to build upon the foundation that has been laid,” Strawn said at a press conference this morning. The 37-year-old Strawn helped increase GOP voter registration in 2010 while the party retained all Republican incumbents in the U.S. Senate and Congress and won the governor’s office for the first time in 12 years. Republicans also gained a majority in the Iowa House with a net gain of 16 seats and won an additional six seats in the Iowa Senate. “In football terms, it’s only halftime and Iowa Republicans need to finish what we started,” Strawn said. “The next step is electing an Iowa Senate majority, winning a majority of our congressional delegation seats and delivering Iowa’s electoral votes to a Republican nominee for president in 2012.” If he is re-elected by the state Republican Central Committee on January 8th, Strawn would become the first chairman in 8 years to hold the position longer than one two-year term. “That’s one thing in talking with Republican activists around the state, the notion that we’ll actually be able to have some continuity in the building,” Strawn said. Strawn, who is co-owner of the Iowa Barnstormers football team, said is not aware of any challengers for the chairmanship. House Republican Leader Kraig Paulsen, Governor-elect Terry Branstad and Senator Chuck Grassley issued statements today in support of Strawn. Read them here.